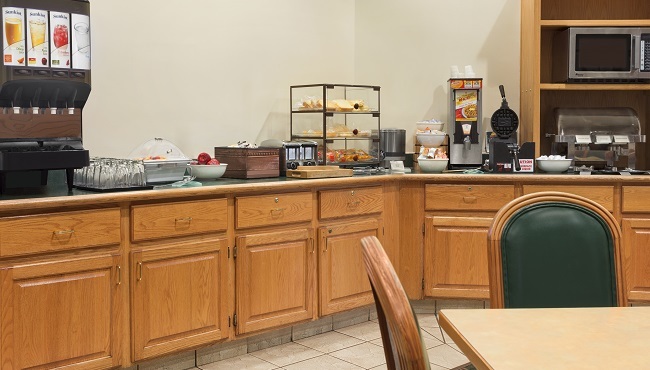 At the Country Inn & Suites, Salina, KS, we set out our free, hot breakfast each morning so that you can enjoy waffles, a toasted bagel or a bowl of cereal topped with fresh fruit. Looking for a midday snack? Stop by the lobby for free cookies and coffee. When it’s time for lunch and dinner, try a nearby restaurant like Chili’s or Daimaru Steakhouse & Sushi Bar.